This article is about philosophical theories known collectively as "historicism". For the school of historiography known as "historicism" or "historism", see historism. For the school of art and architecture, see Historicism (art). For the method of interpreting the Book of Revelation, see Historicism (Christianity). For historicism in music, see Musical historicism. 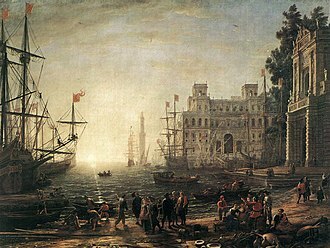 Historicism is the idea of attributing meaningful significance to space and time, such as historical period, geographical place, and local culture. Historicism tends to be hermeneutical because it values cautious, rigorous, and contextualized interpretation of information; or relativist, because it rejects notions of universal, fundamental and immutable interpretations. The approach varies from individualist theories of knowledge such as empiricism and rationalism, which neglect the role of traditions. The term "historicism" (Historismus) was coined by German philosopher Karl Wilhelm Friedrich Schlegel. Over time it has developed different and somewhat divergent meanings. Elements of historicism appear in the writings of French essayist Michel de Montaigne (1533–1592) and Italian philosopher G. B. Vico (1668–1744), and became more fully developed with the dialectic of Georg Hegel (1770–1831), influential in 19th-century Europe. The writings of Karl Marx, influenced by Hegel, also include historicism. The term is also associated with the empirical social sciences and with the work of Franz Boas. 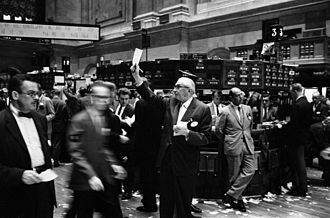 Historicism may be contrasted with reductionist theories—which assumes that all developments can be explained by fundamental principles (such as in economic determinism)—or with theories that posit that historical changes occur as a result of random chance. 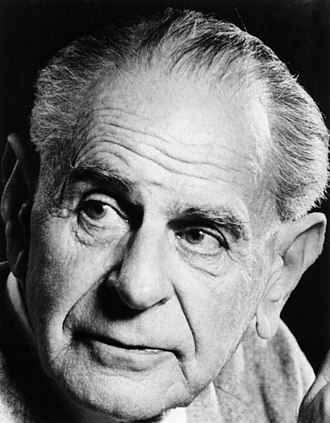 The Austrian-English philosopher Karl Popper condemned historicism along with the determinism and holism which he argued formed its basis. In his Poverty of Historicism, he identified historicism with the opinion that there are "inexorable laws of historical destiny", which opinion he warned against. This contrasts with the contextually relative interpretation of historicism for which its proponents argue. Talcott Parsons criticized historicism as a case of idealistic fallacy in The Structure of Social Action (1937). Post-structuralism uses the term "New Historicism", which has some associations with both anthropology and Hegelianism. The theological use of the word denotes the interpretation of biblical prophecy as being related to church history. Hegel viewed the realization of human freedom as the ultimate purpose of history, which could only be achieved through the creation of the perfect state. And this progressive history would only occur through a dialectical process: namely, the tension between the purpose of humankind (freedom), the position that humankind currently finds itself, and mankind's attempt to bend the current world into accord with its nature. However, because humans are often not aware of the goal of both humanity and history, the process of achieving freedom is necessarily one of self-discovery. Hegel also saw the progress toward freedom being conducted by the "spirit" (Geist), a seemingly supernatural force that directed all human actions and interactions. Yet Hegel makes clear that the spirit is a mere abstraction, and only comes into existence "through the activity of finite agents." Thus, Hegel's philosophy of history is not necessarily metaphysical, despite the fact that many of Hegel's opponents and interpreters have understood Hegel's philosophy of history as a metaphysical and determinist view of history. For example, Karl Popper in his book The Poverty of Historicism interpreted Hegel's philosophy of history as metaphysical and deterministic. 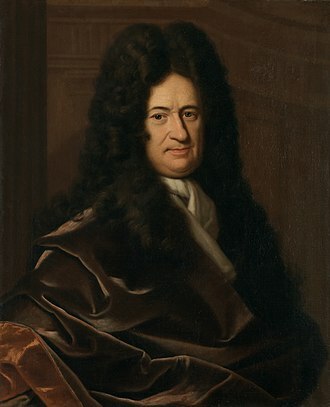 Popper referred to this "Hegelian" philosophy of history as Historicism. Hegel's historicism also suggests that any human society and all human activities such as science, art, or philosophy, are defined by their history. Consequently, their essence can be sought only by understanding said history. The history of any such human endeavor, moreover, not only continues but also reacts against what has gone before; this is the source of Hegel's famous dialectic teaching usually summarized by the slogan "thesis, antithesis, and synthesis". (Hegel did not use these terms, although Johann Fichte did.) 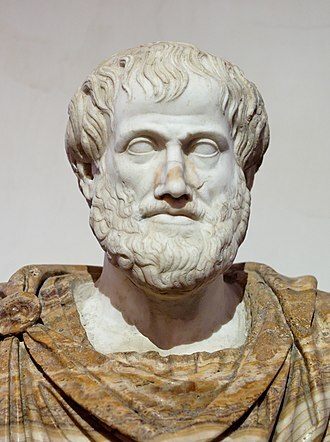 Hegel's famous aphorism, "Philosophy is the history of philosophy," describes it bluntly. Hegel's position is perhaps best illuminated when contrasted against the atomistic and reductionist opinion of human societies and social activities self-defining on an ad hoc basis through the sum of dozens of interactions. Yet another contrasting model is the persistent metaphor of a social contract. 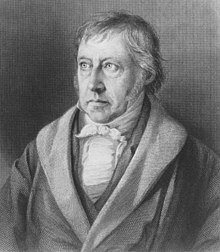 Hegel considers the relationship between individuals and societies as organic, not atomic: even their social discourse is mediated by language, and language is based on etymology and unique character. It thus preserves the culture of the past in thousands of half-forgotten metaphors. To understand why a person is the way he is, you must examine that person in his society: and to understand that society, you must understand its history, and the forces that influenced it. The Zeitgeist, the "Spirit of the Age," is the concrete embodiment of the most important factors that are acting in human history at any given time. This contrasts with teleological theories of activity, which suppose that the end is the determining factor of activity, as well as those who believe in a tabula rasa, or blank slate, opinion, such that individuals are defined by their interactions. These ideas can be interpreted variously. 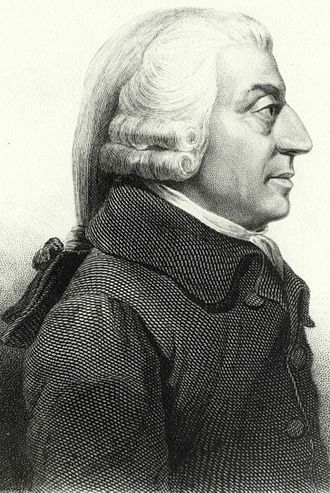 The Right Hegelians, working from Hegel's opinions about the organicism and historically determined nature of human societies, interpreted Hegel's historicism as a justification of the unique destiny of national groups and the importance of stability and institutions. Hegel's conception of human societies as entities greater than the individuals who constitute them influenced nineteenth-century romantic nationalism and its twentieth-century excesses. The Young Hegelians, by contrast, interpreted Hegel's thoughts on societies influenced by social conflict for a doctrine of social progress, and attempted to manipulate these forces to cause various results. Karl Marx's doctrine of "historical inevitabilities" and historical materialism is one of the more influential reactions to this part of Hegel's thought. 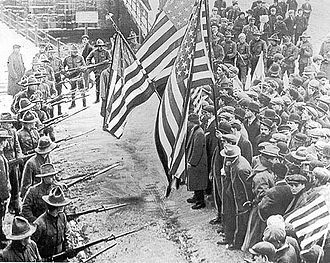 Significantly, Karl Marx's theory of alienation argues that capitalism disrupts traditional relationships between workers and their work. In modern times things are very different; now we no longer see philosophic individuals who constitute a class by themselves. With the present day all difference has disappeared; philosophers are not monks, for we find them generally in connection with the world, participating with others in some common work or calling. They live, not independently, but in the relation of citizens, or they occupy public offices and take part in the life of the state. Certainly they may be private persons, but if so, their position as such does not in any way isolate them from their other relationship. They are involved in present conditions, in the world and its work and progress. Thus their philosophy is only by the way, a sort of luxury and superfluity. This difference is really to be found in the manner in which outward conditions have taken shape after the building up of the inward world of religion. 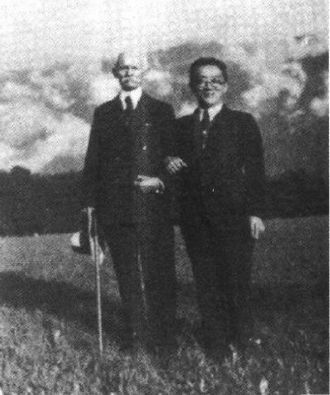 In modern times, namely, on account of the reconciliation of the worldly principle with itself, the external world is at rest, is brought into order — worldly relationships, conditions, modes of life, have become constituted and organized in a manner which is conformable to nature and rational. We see a universal, comprehensible connection, and with that individuality likewise attains another character and nature, for it is no longer the plastic individuality of the ancients. 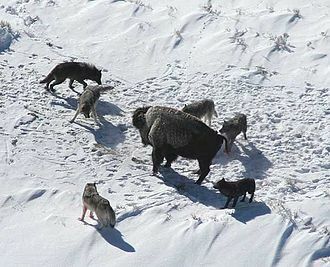 This connection is of such power that every individuality is under its dominion, and yet at the same time can construct for itself an inward world. This opinion that entanglement in society creates an indissoluble bond with expression, would become an influential question in philosophy, namely, the requirements for individuality. It would be considered by Nietzsche, John Dewey and Michel Foucault directly, as well as in the work of numerous artists and authors. There have been various responses to Hegel's challenge. The Romantic period emphasized the ability of individual genius to transcend time and place, and use the materials from their heritage to fashion works which were beyond determination. 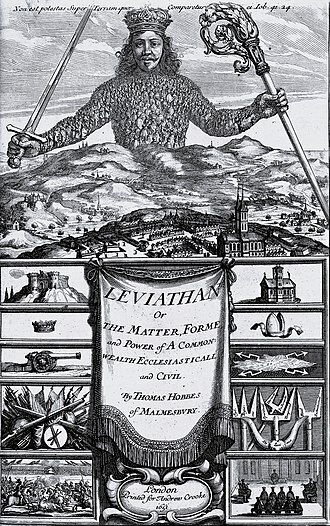 The modern would advance versions of John Locke's infinite malleability of the human animal. Post-structuralism would argue that since history is not present, but only the image of history, that while an individual era or power structure might emphasize a particular history, that the contradictions within the story would hinder the very purposes that the history was constructed to advance. In the context of anthropology and other sciences which study the past, historicism has a different meaning. 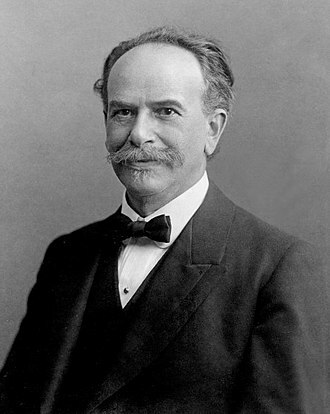 Anthropological historicism is associated with the work of Franz Boas. His theory used the diffusionist concept that there were a few "cradles of civilization" which grew outwards, and merged it with the idea that societies would adapt to their circumstances, which is called historical particularism. The school of historicism grew in response to unilinear theories that social development represented adaptive fitness, and therefore existed on a continuum. While these theories were espoused by Charles Darwin and many of his students, their application as applied in social Darwinism and general evolution characterized in the theories of Herbert Spencer and Leslie White, historicism was neither anti-selection, nor anti-evolution, as Darwin never attempted nor offered an explanation for cultural evolution. However, it attacked the notion that there was one normative spectrum of development, instead emphasizing how local conditions would create adaptations to the local environment. 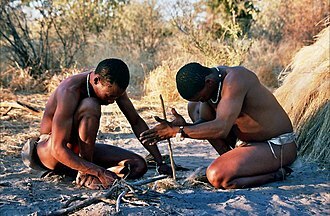 Julian Steward refuted the viability of globally and universally applicable adaptive standards proposing that culture was honed adaptively in response to the idiosyncrasies of the local environment, the cultural ecology, by specific evolution. What was adaptive for one region might not be so for another. This conclusion has likewise been adopted by modern forms of biological evolutionary theory. 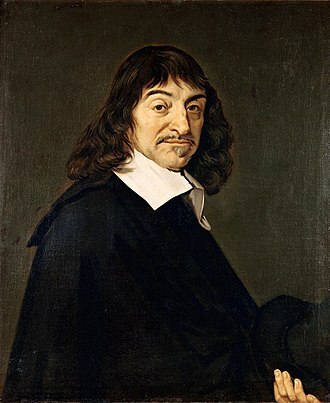 The primary method of historicism was empirical, namely that there were so many requisite inputs into a society or event, that only by emphasizing the data available could a theory of the source be determined. 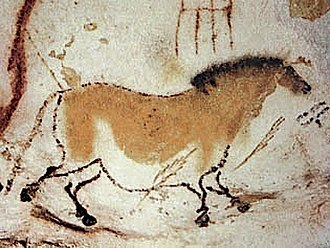 In this opinion, grand theories are unprovable, and instead intensive field work would determine the most likely explanation and history of a culture, and hence it is named "historicism." This opinion would produce a wide range of definition of what, exactly, constituted culture and history, but in each case the only means of explaining it was in terms of the historical particulars of the culture itself. Since the 1950s, when Jacques Lacan and Foucault argued that each epoch has its own knowledge system, within which individuals are inexorably entangled, many post-structuralists have used historicism to describe the opinion that all questions must be settled within the cultural and social context in which they are raised. Answers cannot be found by appeal to an external truth, but only within the confines of the norms and forms that phrase the question. This version of historicism holds that there are only the raw texts, markings and artifacts that exist in the present, and the conventions used to decode them. This school of thought is sometimes given the name of New Historicism. The same term, new historicism is also used for a school of literary scholarship which interprets a poem, drama, etc. as an expression of or reaction to the power-structures of its society. Stephen Greenblatt is an example of this school. 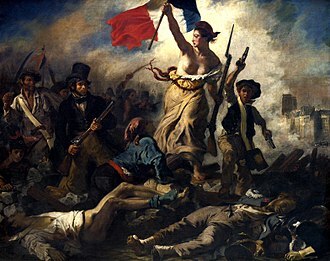 Within the context of 20th-century philosophy, debates continue as to whether ahistorical and immanent methods were sufficient to understand meaning—that is to say, "what you see is what you get" positivism—or whether context, background and culture are important beyond the mere need to decode words, phrases and references. 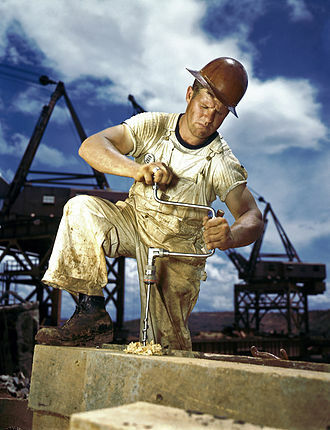 While post-structural historicism is relativist in its orientation, that is, it sees each culture as its own frame of reference, a large number of thinkers have embraced the need for historical context, not because culture is self-referential, but because there is no more compressed means of conveying all of the relevant information except through history. 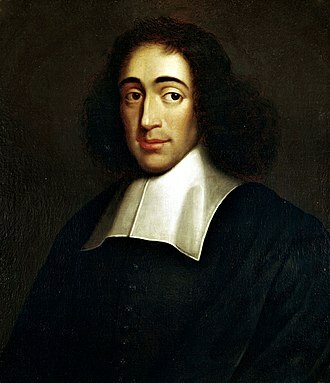 This opinion is often seen as deriving from the work of Benedetto Croce. Recent historians using this tradition include Thomas Kuhn. 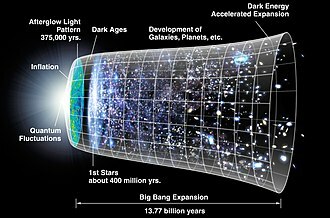 In Christianity, the term historicism refers to the confessional Protestant form of prophetical interpretation which holds that the fulfillment of biblical prophecy has occurred throughout history and continues to occur; as opposed to other methods which limit the time-frame of prophecy-fulfillment to the past or to the future. There is also a particular opinion in ecclesiastical history and in the history of dogmas which has been described as historicist by Pope Pius XII in the encyclical Humani generis. "They add that the history of dogmas consists in the reporting of the various forms in which revealed truth has been clothed, forms that have succeeded one another in accordance with the different teachings and opinions that have arisen over the course of the centuries." 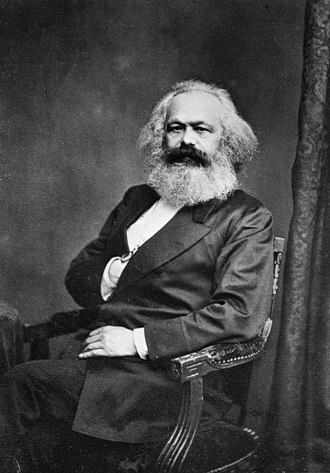 The social theory of Karl Marx, with respect to modern scholarship, has an ambiguous relation to historicism. Critics of Marx have charged his theory with historicism since its very genesis. However, the issue of historicism also finds itself important to many debates within Marxism itself; the charge of historicism has been made against various types of Marxism, typically disparaged by Marxists as "vulgar" Marxism. The materialist doctrine that men are products of circumstances and upbringing, and that, therefore, changed men are products of changed circumstances and changed upbringing, forgets that it is men who change circumstances and that the educator must himself be educated. Hence this doctrine is bound to divide society into two parts, one of which is superior to society. The coincidence of the changing of circumstances and of human activity or self-change [Selbstveränderung] can be conceived and rationally understood only as revolutionary practice. Karl Popper used the term historicism in his influential books The Poverty of Historicism and The Open Society and Its Enemies, to mean: "an approach to the social sciences which assumes that historical prediction is their primary aim, and which assumes that this aim is attainable by discovering the 'rhythms' or the 'patterns', the 'laws' or the 'trends' that underlie the evolution of history". Karl Popper wrote with reference to Hegel's theory of history, which he criticized extensively. However, there is wide dispute whether Popper's description of "historicism" is an accurate description of Hegel, or more his characterisation of his own philosophical antagonists, including Marxist-Leninist thought, then widely held as posing a challenge to the philosophical basis of the West, as well as theories such as Spengler's which drew predictions about the future course of events from the past. In The Open Society and Its Enemies, Popper attacks "historicism" and its proponents, among whom (as well as Hegel) he identifies and singles out Plato and Marx—calling them all "enemies of the open society". The objection he makes is that historicist positions, by claiming that there is an inevitable and deterministic pattern to history, abrogate the democratic responsibility of each one of us to make our own free contributions to the evolution of society, and hence lead to totalitarianism. Another of his targets is what he terms "moral historicism", the attempt to infer moral values from the course of history; in Hegel's words, that "history is the world's court of justice". This may take the form of conservatism (former might is right), positivism (might is right) or futurism (presumed coming might is right). As against these, Popper says that he does not believe "that success proves anything or that history is our judge". Futurism must be distinguished from prophecies that the right will prevail: these attempt to infer history from ethics, rather than ethics from history, and are therefore historicism in the normal sense rather than moral historicism. He also attacks what he calls "Historism", which he regards as distinct from historicism. By historism, he means the tendency to regard every argument or idea as completely accounted for by its historical context, as opposed to assessing it by its merits. In Popperian terms, the "New Historicism" is an example of historism rather than of historicism proper. Leo Strauss used the term historicism and reportedly termed it the single greatest threat to intellectual freedom insofar as it denies any attempt to address injustice-pure-and-simple (such is the significance of historicism's rejection of "natural right" or "right by nature"). 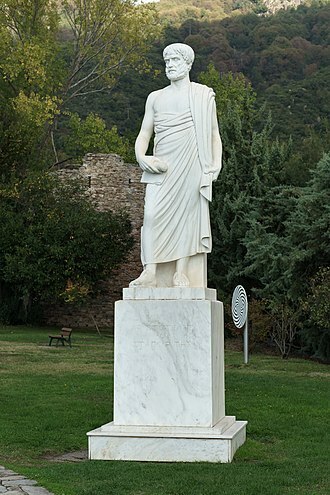 Strauss argued that historicism "rejects political philosophy" (insofar as this stands or falls by questions of permanent, trans-historical significance) and is based on the belief that "all human thought, including scientific thought, rests on premises which cannot be validated by human reason and which came from historical epoch to historical epoch." Strauss further identified R. G. Collingwood as the most coherent advocate of historicism in the English language. Countering Collingwood's arguments, Strauss warned against historicist social scientists' failure to address real-life problems—most notably that of tyranny—to the extent that they relativize (or "subjectivize") all ethical problems by placing their significance strictly in function of particular or ever-changing socio-material conditions devoid of inherent or "objective" "value." Similarly, Strauss criticized Eric Voegelin's abandonment of ancient political thought as guide or vehicle in interpreting modern political problems. In his books, Natural Right and History and On Tyranny, Strauss offers a complete critique of historicism as it emerges in the works of Hegel, Marx, and Heidegger. Many believe that Strauss also found historicism in Edmund Burke, Tocqueville, Augustine, and John Stuart Mill. Although it is largely disputed whether Strauss himself was a historicist, he often indicated that historicism grew out of and against Christianity and was a threat to civic participation, belief in human agency, religious pluralism, and, most controversially, an accurate understanding of the classical philosophers and religious prophets themselves. Throughout his work, he warns that historicism, and the understanding of progress that results from it, expose us to tyranny, totalitarianism, and democratic extremism. In his exchange with Alexandre Kojève in On Tyranny, Strauss seems to blame historicism for Nazism and Communism. In a collection of his works by Kenneth Hart entitled Jewish Philosophy and the Crisis of Modernity, he argues that Islam, traditional Judaism, and ancient Greece, share a concern for sacred law that makes them especially susceptible to historicism, and therefore to tyranny. Strauss makes use of Nietzsche's own critique of progress and historicism, although Strauss refers to Nietzsche himself (no less than to Heidegger) as a "radical historicist" who articulated a philosophical (if only untenable) justification for historicism. ^ Beiser, Frederick C. (1993). The Cambridge Companion to Hegel. Cambridge: Cambridge University PRess. pp. 289–91. ^ Popper, Karl Popper (1957). The Poverty of Historicism. London: Routledge. p. 4. ^ Pius XII. "Humani generis, 15". Vatican.va. Archived from the original on 2012-04-19. Retrieved 2012-05-21. ^ "Theses on Feuerbach". Retrieved February 20, 2009. ^ The Open Society and its Enemies, vol. 2 p. 29. Herbert Spencer was an English philosopher, anthropologist and prominent classical liberal political theorist of the Victorian era. Spencer developed a conception of evolution as the progressive development of the physical world, biological organisms, the human mind. During his lifetime he achieved tremendous authority, mainly in English-speaking academia, the only other English philosopher to have achieved anything like such widespread popularity was Bertrand Russell, and that was in the 20th century. Spencer was the single most famous European intellectual in the decades of the nineteenth century but his influence declined sharply after 1900. Spencer is best known for the survival of the fittest. 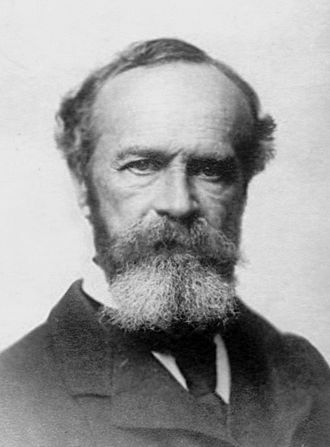 This term strongly suggests natural selection, yet as Spencer extended evolution into realms of sociology and ethics, Spencer was born in Derby, England, on 27 April 1820, the son of William George Spencer. Spencers father was a dissenter who drifted from Methodism to Quakerism. Thomas Spencer imprinted on his nephew his own firm free-trade, Spencer was an autodidact who acquired most of his knowledge from narrowly focused readings and conversations with his friends and acquaintances. 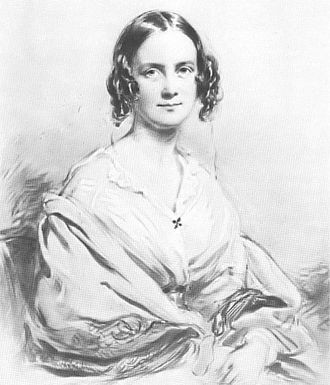 Both as an adolescent and as a man, Spencer found it difficult to settle to any intellectual or professional discipline. Spencer himself introduced the biologist Thomas Henry Huxley, who would win fame as Darwins Bulldog. However it was the friendship of Evans and Lewes that acquainted him with John Stuart Mills A System of Logic and with Auguste Comtes positivism and which set him on the road to his lifes work. The first fruit of his friendship with Evans and Lewes was Spencers second book, Principles of Psychology, published in 1855, which explored a physiological basis for psychology. The book was founded on the assumption that the human mind was subject to natural laws. This permitted the adoption of a perspective not merely in terms of the individual, but of the species. The Psychology, he believed, would do for the mind what Isaac Newton had done for matter. However, the book was not initially successful and the last of the 251 copies of its first edition was not sold until June 1861, Spencers interest in psychology derived from a more fundamental concern which was to establish the universality of natural law. Recently and scholars have begun to appreciate Fichte as an important philosopher in his own right due to his original insights into the nature of self-consciousness or self-awareness. Fichte was the originator of thesis–antithesis–synthesis, an idea that is often attributed to Hegel. Like Descartes and Kant before him, Fichte was motivated by the problem of subjectivity, Fichte wrote works of political philosophy, he has a reputation as one of the fathers of German nationalism. Fichte was born in Rammenau, Upper Lusatia, the son of a ribbon weaver, he came of peasant stock which had lived in the region for many generations. 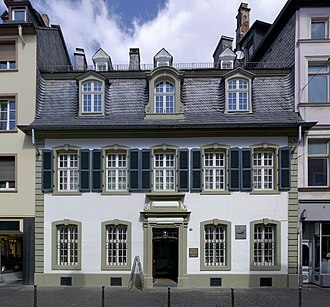 The family was noted in the neighborhood for its probity and piety, christian Fichte, Johann Gottliebs father, married somewhat above his station. It has been suggested that a certain impatience which Fichte himself displayed throughout his life was an inheritance from his mother, young Fichte received the rudiments of his education from his father. He early showed remarkable ability, and it was owing to his reputation among the villagers that he gained the opportunity for an education than he otherwise would have received. 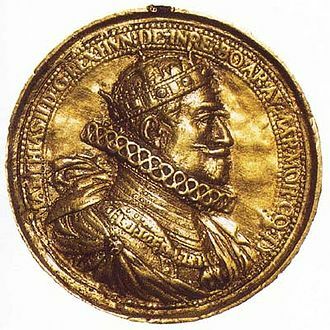 The story runs that the Freiherr von Militz, a country landowner and he was, informed that a lad in the neighborhood would be able to repeat the sermon practically verbatim. As a result, the baron took the lad into his protection, Fichte was placed in the family of Pastor Krebel at Niederau near Meissen and there received thorough grounding in the classics. From this time onward, Fichte saw little of his parents, in October 1774, he was attending the celebrated foundation-school at Pforta near Naumburg. This school is associated with the names of Novalis, August Wilhelm Schlegel, Friedrich Schlegel, perhaps his education strengthened a tendency toward introspection and independence, characteristics which appear strongly in his doctrines and writings. 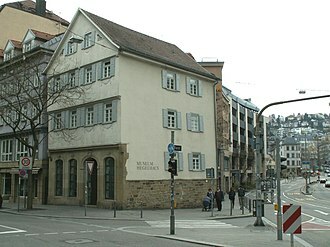 In 1780, he study at the theology seminary of University of Jena. He was transferred a year to study at the Leipzig University, Fichte seems to have supported himself at this period of bitter poverty and hard struggle. Freiherr von Militz continued to him, but when he died in 1784, Fichte had to end his studies prematurely. Michel Foucault was a French philosopher, historian of ideas, social theorist and literary critic. His theories addressed the relationship between power and knowledge, and how they are used as a form of control through societal institutions. Though often cited as a post-structuralist and postmodernist, Foucault rejected these labels and his thought has been highly influential both for academic and for activist groups, especially those working within contemporary sociology, cultural studies, and critical theory. After several years as a cultural diplomat abroad, he returned to France and published his first major book and these first three histories exemplified a historiographical technique Foucault was developing called archaeology. In 1970 he was admitted to the Collège de France, membership of which he retained until his death and he became active in a number of left-wing groups involved in anti-racist campaigns, anti-human rights abuses movements, and the struggle for penal reform. 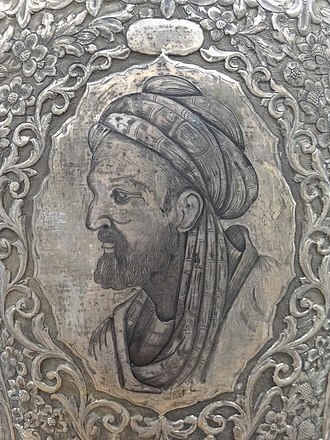 He went on to publish The Archaeology of Knowledge and Punish, in these books he developed archaeological and genealogical methods which emphasized the role which power plays in the evolution of discourse in society. Paul-Michel Foucault was born on 15 October 1926 in the city of Poitiers, west-central France and he had been named after his father, Dr. His father was a local surgeon, having been born in Fontainebleau before moving to Poitiers. 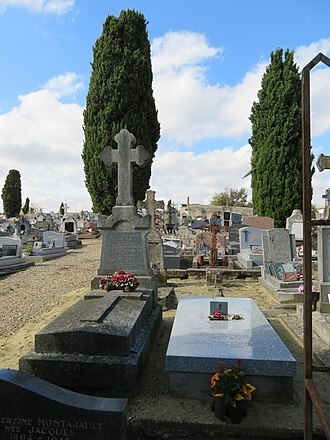 She was the daughter of prosperous surgeon Dr. Prosper Malapert, Paul Foucault eventually took over his father-in-laws medical practice, while his wife took charge of their large mid-19th-century house, Le Piroir, in the village of Vendeuvre-du-Poitou. Together the couple had three children, a girl named Francine and two boys, Paul-Michel and Denys, all of whom shared the same hair and bright blue eyes. The children were raised to be nominal Roman Catholics, attending mass at the Church of Saint-Porchair, in life, Foucault would reveal very little about his childhood. Describing himself as a delinquent, he claimed his father was a bully who would sternly punish him. In 1930, Foucault began his two years early at the local Lycée Henry-IV. Here he undertook two years of education before entering the main lycée, where he stayed until 1936. John Dewey was an American philosopher and educational reformer whose ideas have been influential in education and social reform. Dewey is one of the figures associated with the philosophy of pragmatism and is considered one of the fathers of functional psychology. A Review of General Psychology survey, published in 2002, ranked Dewey as the 93rd most cited psychologist of the 20th century, a well-known public intellectual, he was a major voice of progressive education and liberalism. Although Dewey is known best for his publications about education, he wrote about many other topics, including epistemology, aesthetics, logic, social theory. He was an educational reformer for the 20th century. The overriding theme of Deweys works was his belief in democracy, be it in politics, education or communication. 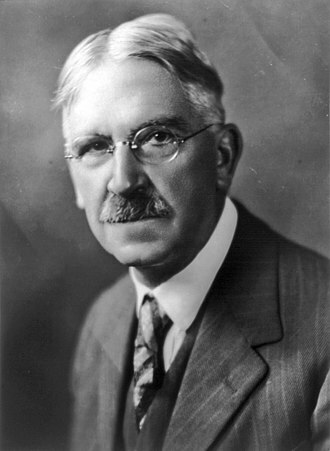 As Dewey himself stated in 1888, while still at the University of Michigan, John Dewey was born in Burlington, Vermont, to a family of modest means. Dewey was one of four born to Archibald Sprague Dewey. The second born son and first John born to Archibald and Lucina died in an accident on January 17,1859. 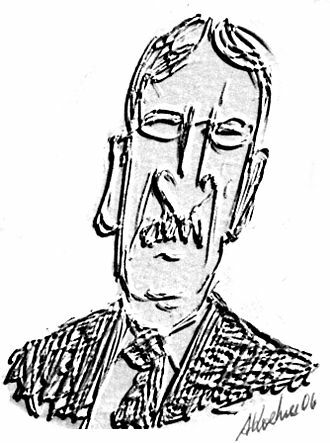 On October 20,1859 John Dewey was born, forty weeks after the death of his older brother. Like his older, surviving brother, Davis Rich Dewey, he attended the University of Vermont, where he was initiated into Delta Psi, and graduated Phi Beta Kappa in 1879. A significant professor of Deweys at the University of Vermont was Henry A. P. Torrey, Dewey studied privately with Torrey between his graduation from Vermont and his enrollment at Johns Hopkins University. After studying with George Sylvester Morris, Charles Sanders Peirce, Herbert Baxter Adams, in 1884, he accepted a faculty position at the University of Michigan with the help of George Sylvester Morris. His unpublished and now lost dissertation was titled The Psychology of Kant, in 1894 Dewey joined the newly founded University of Chicago where he developed his belief in Rational Empiricism, becoming associated with the newly emerging Pragmatic philosophy. Its title is derived from the first word of the text, written in Koine Greek, meaning unveiling or revelation. 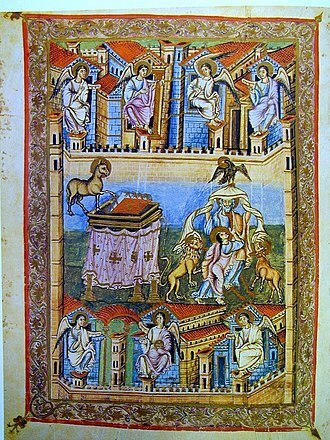 The Book of Revelation is the apocalyptic document in the New Testament canon. The author names himself in the text as John, but his identity remains a point of academic debate. Modern scholarship generally takes a different view, and many consider that nothing can be known about the author except that he was a Christian prophet, Some modern scholars characterise Revelations author as a putative figure whom they call John of Patmos. The bulk of traditional sources date the book to the reign of the emperor Domitian, the book spans three literary genres, the epistolary, the apocalyptic, and the prophetic. It begins with John, on the island of Patmos in the Aegean and he describes a series of prophetic visions, including figures such as the Whore of Babylon and the Beast, culminating in the Second Coming of Jesus. The title is taken from the first word of the book in Koine Greek, ἀποκάλυψις apokalypsis, the author names himself as John, but it is currently considered unlikely that the author of Revelation was the author of the Gospel of John. All that is known is that this John was a Jewish Christian prophet, probably belonging to a group of such prophets and his precise identity remains unknown, and modern scholarship commonly refers to him as John of Patmos. 70 AD is the date of writing according to Martha Himmelfarb in the recently published Blackwell series. Revelation is an apocalyptic prophecy with an epistolary introduction addressed to seven churches in the Roman province of Asia, Apocalypse means the revealing of divine mysteries, John is to write down what is revealed and send it to the seven churches. 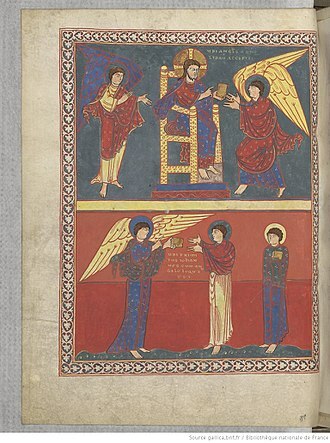 The entire book constitutes the letter—the letters to the seven churches are introductions to the rest of the book. While the dominant genre is apocalyptic, the author himself as a Christian prophet, Revelation uses the word in various forms twenty-one times. 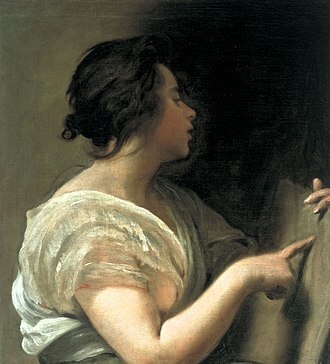 The predominant view is that Revelation alludes to the Old Testament although it is difficult among scholars to agree on the number of allusions or the allusions themselves. A political cartoon from an 1894 Puck magazine by illustrator S.D. Ehrhart, shows a farm woman labeled "Democratic Party" sheltering from a tornado of political change. A metaphorical visualization of the word anger. Tombstone of a Jewish woman depicting broken candles, a visual metaphor of the end of life. 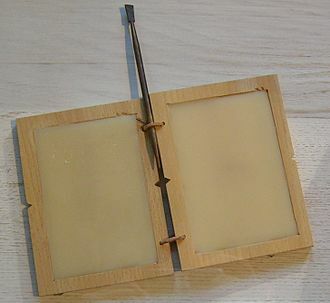 Roman tabula or wax tablet with stylus. Composite image of the Earth at night, created by NASA and NOAA. The brightest areas of the Earth are the most urbanized, but not necessarily the most populous. Even more than 100 years after the invention of the electric light, some regions remain thinly populated and unlit.